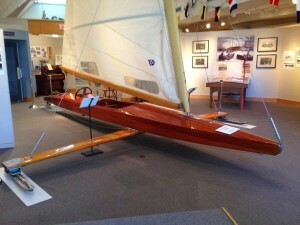 “Boating Portland, Part I” https://brewsterhouse.com/2014/06/21/boating-around-freeport-maine/, was the first part of this encyclopedic compenduim, so start there and catch up before you dive in here! OK, so we’ve moved up the coast from Portland to Freeport! 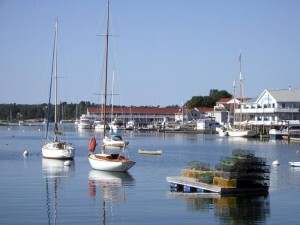 I’d love to tell you that there were multiple boating options from our hometown, but I only know of one, Atlantic Seal Cruises, with Captain Ring from Harraseeket Harbor in South Freeport (& Cook’s Lobster House on Bailey’s Island), but when you add in “the neighborhood,” there are AMAZING BOATING CHOICES FROM FREEPORT, & east! 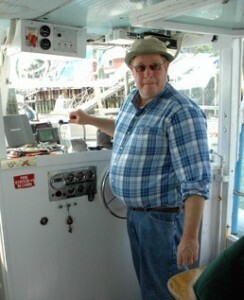 Captain Ring is very entertaining, and works most of the year a commercial tug captain. You’ll pick up some lobster traps, he’ll show you some seals, osprey, eagles and you’ll spend an hour on Eagle Island at what was the former home of the famous Arctic explorer, Admiral Peary! Tom and his Wife actually owned a B & B on the Harraseeket waterfront, and he always raves about Brewster House when he stops by! 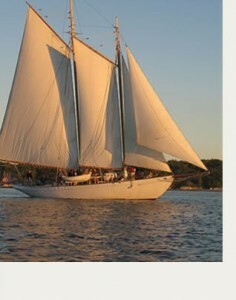 He also does some special trips to Seguin Island light and fall foliage cruises. 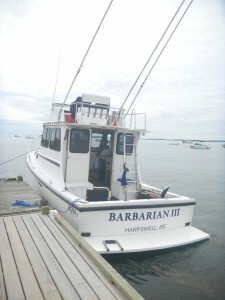 We don’t get a lot of questions about boat fishing, but enjoying ocean fishing myself, I’ll offer a little information. 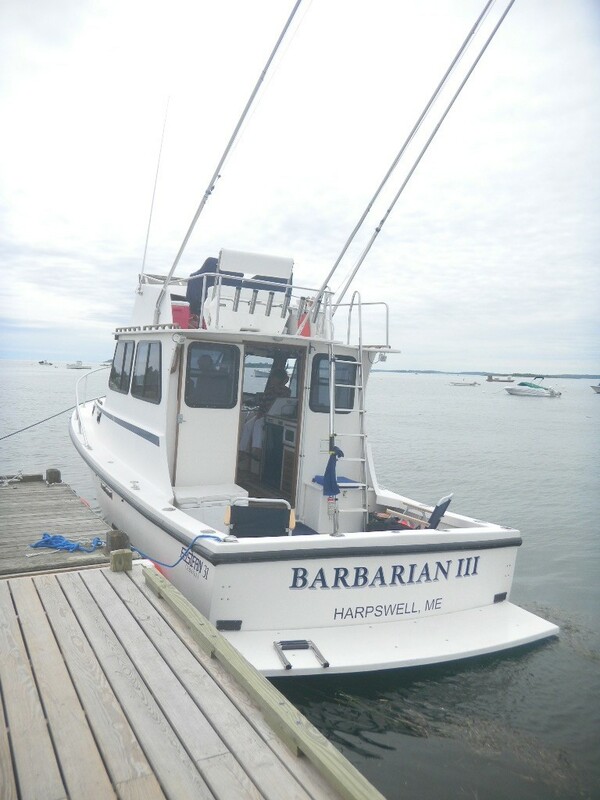 The “Barbarian III” out of Harpswell is a good example. Chartering a sport fisherman is a blast, but it’s expensive enough that you’ll want to share the trip (& the stories) with some buddies. $350 – $450 for a four hour trip is typical (for the whole boat), with $700 – $800 for an 8 hour shark or tuna fishing adventure. 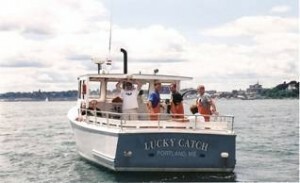 Further, keep in mind, the premier sport fish in Maine are stripped bass or bluefish. As they are both pelagic (they migrate), the fishing is best in either mid May to the end of June, or September to mid-October. Further afield (or should I say abay), but one heck of a daylong adventure, would be a trip to the lovely, rugged and wild Monhegan monheganwelcome.com. This would be an excellent adventure for those enjoying longer stays at Brewster House! The May edition of Down East Magazine has a great piece about Monhegan, and it’s struggle to keep a year round population. The island is about 8 miles offshore, just short of 2 miles long, and very high and rocky. Its’ jewels are a year round community of artists and a very hardy community of lobster fisherman who only pursue their quarry in Winter, when prices for the delicious sea spiders are higher. It is a lovely place to hike and explore, and at the end of your hike, there’s even a local micro-brewery (the Monhegan Brewing Company) to reward your efforts! You can depart from either Boothbay or New Harbor (either of which is about 50 minutes east of us). Ferries depart at 9AM or 2PM, and you are asked to be there 45 minutes early hardyboat.com. I would recommend reservations. Bicycles are not welcome, although, you can arrange to bring your kayak! 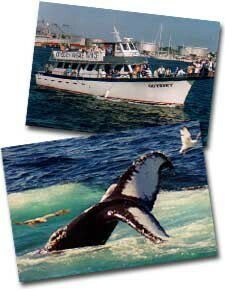 Lastly, and really more of a “mid-coast” adventure is life experience you should not miss! 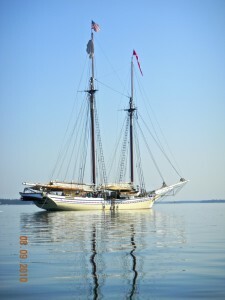 That would be the traditional fishing schooner Heritage at anchorschooner charter fleet that sails out of Penobscot Bay www.sailmainecoast.com. 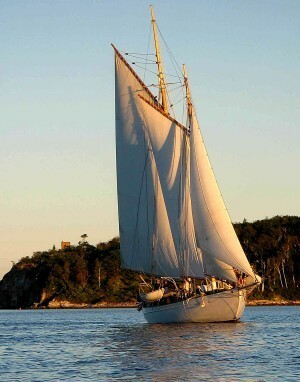 These are largely classic, former fishing schooners, 75 – 150’ in length, that go out for 3 to 10 day trips, complete with crew, all meals provided, and you participate in running the boat as much (or as little) as you like. My Sister, cousin and myself took a 6 day trip on the “Heritage” in August a few years ago and had a wonderful, relaxing trip…..no TV’s or other distracting electronics, laying on deck at night watching the meteors and satellites, just quiet, extraordinary views of the sea, mountains, islands and marine life aboard a comfortable large, powerful schooner equipped with fabulous water toys, like sailing dinghies, rowing dinghies, etc. Food is prepared on a woodstove and of remarkable quality and taste. Don’t forget your wine!! 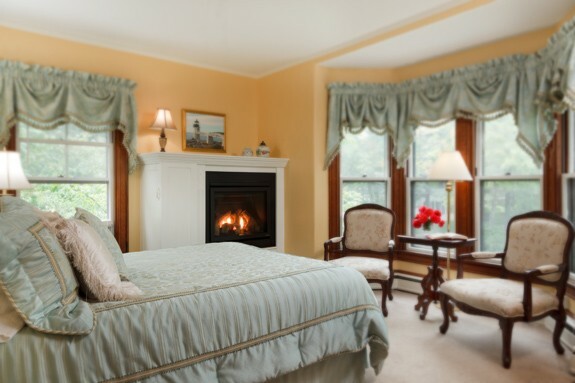 And, don’t forget to start and/ or end you adventure in the luxurious comfort of Brewster House, at the turn of the Maine coast! 1. 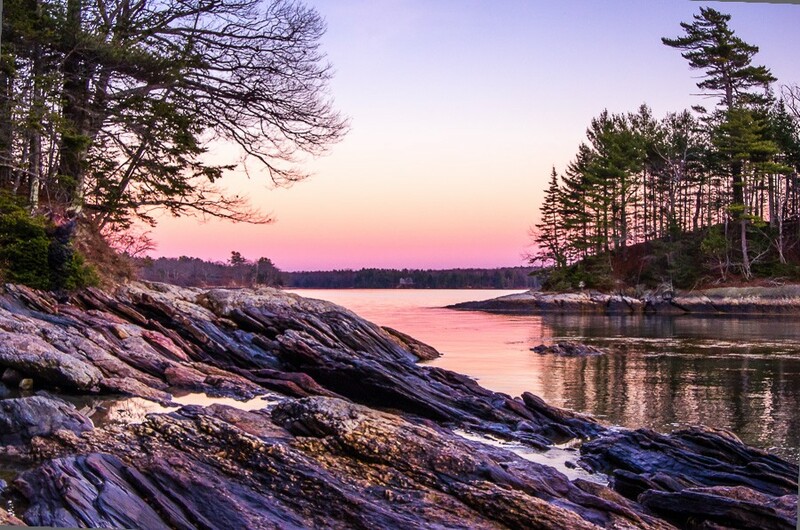 BOATS– In our view, if you really want to appreciate Maine (or at least our part of it), there is no substitute for experiencing our gorgeous coastline, islands & peninsulas on a boat. Whether that be the Portland Water Taxis, Atlantic Seal Cruses out of Freeport, an antique schooner trip, the experience of where the land and water meet is intoxicating! 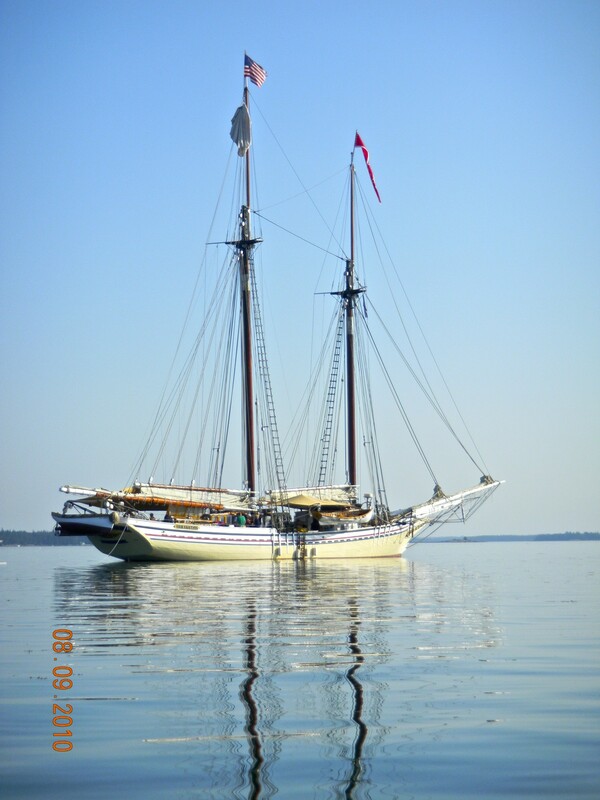 If you have the time, spend the day cruising out of Boothbay or New Harbor to Monhegan. It’s 8 or 10 miles offshore, high, windy & naturally stunning with huge cliffs and puffins nesting in them, populated by a few hardy fishermen, and a thriving year round artists colony, and a 100+ year old hotel. One fabulous breather!! 2. BEACHES– Maine has some beautiful beaches, as different in character from each other as the far reaches of our huge State! 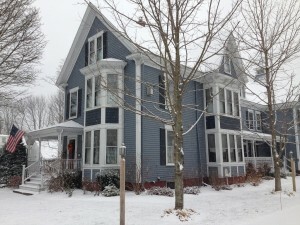 South of Portland, there are several long sandy stretches, from the black long sands of York, to the white beaches of Wells, Ogunquit and Old Orchard Beach. In Freeport, we have our own Casco Bay facing beach at Winslow Park, and at either end of the Kennebec River two stunningly wild, different and unspoiled State Parks including both Popham Beach on the west, and Reid State Park at the east end of the River. 3. 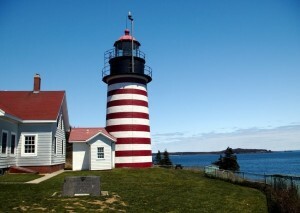 LIGHTHOUSES– There at least five of these within an easy drive of Freeport, including Cape Neddick Light in York, Goat Island Light on Cape Porpoise, and the Portland sisters, Cape Elizabeth (or Two Lights) and the photogenic queen, Portland Head. Less than an hour east of here, you’ll find the Pemaquid Point Light, sitting on a huge striated, slanted granite ledge that can only be described as breathtaking! 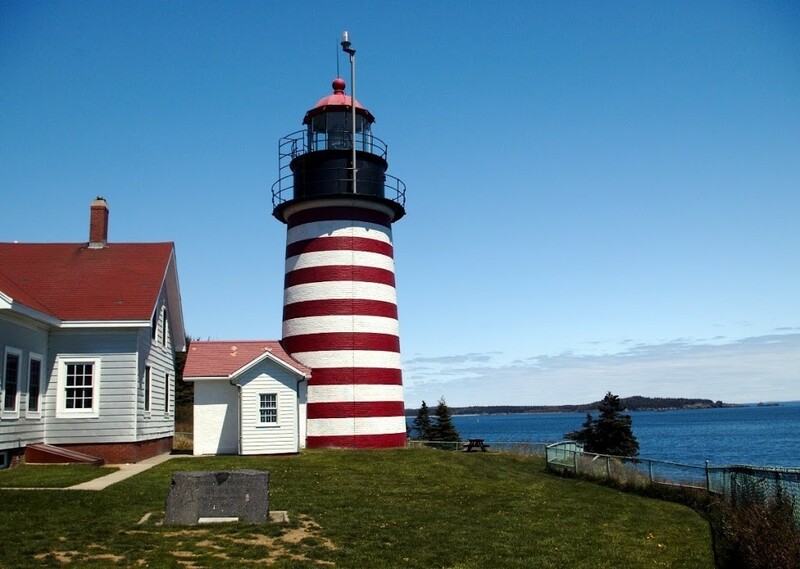 DON’T MISS the lighthouse boat tours of the Kennebec lighthouses offered by the Maine Maritime Museum either (see link in “Museums)! We have specials at Brewster House built around these explorations! 4. 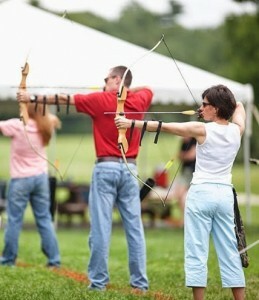 OUTDOOR ADVENTURE– Wow, this is a HUGE category!! I’d put such diverse items in this box as kayaking, bicycling, golf, white water rafting (see Kennebec, Dead & Penobscot Rivers) Northern Outdoors, hunting, fishing, cross-country, Discovery Outdoor Center, ziplines and downhill skiing, mountain-biking, ATVS, snowmobiles…..and so on!! 5. 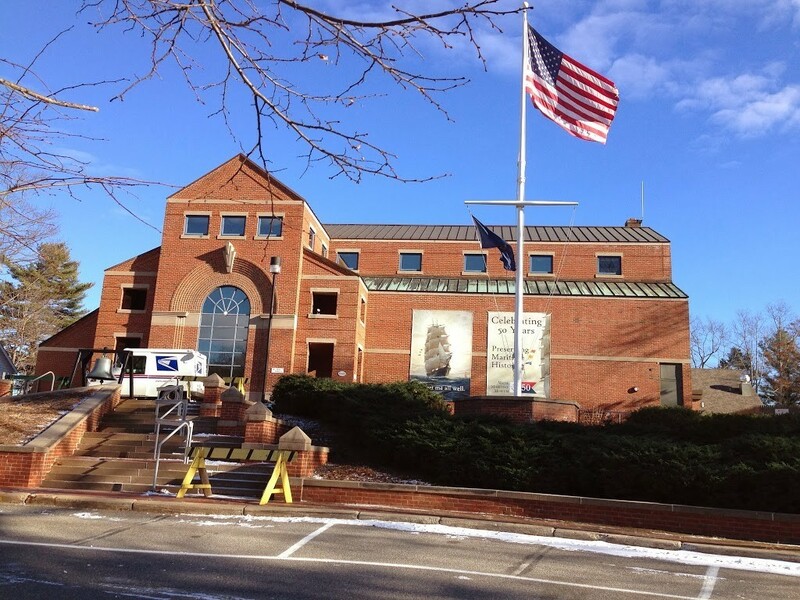 RAINY DAY?– Museums such as the magnificent Maine Maritime Museum in Bath , Portland Art Museum, the Joshua L. Chamberlain Museum (the man who saved the Union Army at Gettysburg), or the Sabbaday Village on Rt. 26 where you can experience a still active Shaker village and their magnificent furniture and handworks, or check out the DeLorme Maps store and 30’ globe 5 miles south on Rt. 1! 6. SHOPPING, ETC. – This one is obvious; Freeport being the center of the LL Bean Universe, (5 separate stores) and all of the surrounding outlet stores is 3 blocks south of Brewster House! 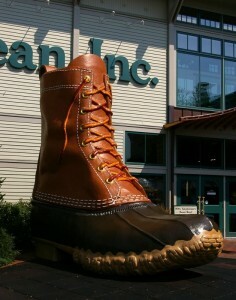 Kittery and its outlet stores are about 40 miles to the south. If you’re of the gambling persuasion, there is the Oxford Casino, about 30 miles northwest on Rt. 26 too (1/2 mile paved racetrack nearby)! 7. EATING– Again, HUGE category, Freeport has a pretty high food bar, as well as the adjacent towns – Brunswick & Bath! Portland has really become elevated as a “Foodie” center of the east coast. Pahk your cah at Congress Square in Portland and check out the amazing choices of cuisine, or head to the waterfront for ATMOSPHERE+!! Obviously, seafood and fresh local meat and produce is a big part of that program. Check out our neighbors at the Azure Café. 8. DRINKING – Many, many choices for wine, beer or martini lovers within a very short drive!! For beer in Freeport, check out The Maine Beer Company or Gritty’s McDuffs. Both microbreweries, and Gritty’s is a pub style restaurant as well. There is a relatively new “wine bistro” in Freeport, very popular among locals (yes, we’re working our way there too!) called “Conundrum”. Last summer, some guests from Georgia shared their fabulous experience with “Wine Wise Events” of Portland, who does wine tasting cruises, restaurant samplings and other really fun such imbibing adventures ! I’ll be talking more about Christa’s company soon. That should get you stahted this summah!! 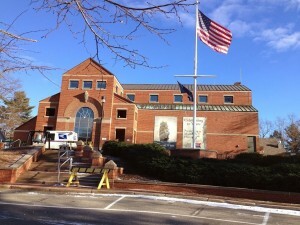 Today my Dad & I took a little men’s adventure to the Maine Maritime Museum, out to lunch and a Home Depot stop for building stuff. Cold! Must’ve been 17 or so Monday AM, still a little snow here and there, after the winter gales of the last 2 days. Got the flipside Noreaster on the way for the day before Thanksgiving. Laid in bed last Monday night, listening to the wind lifting the shingles. Rained buckets Tuesday night through Wednesday, then the gift you see above! I digress….so, Don (my Dad) and I spent several hours absorbing the amazing models, histories, painting and artifacts at this breathtaking Maine Maritime Museum in Bath. 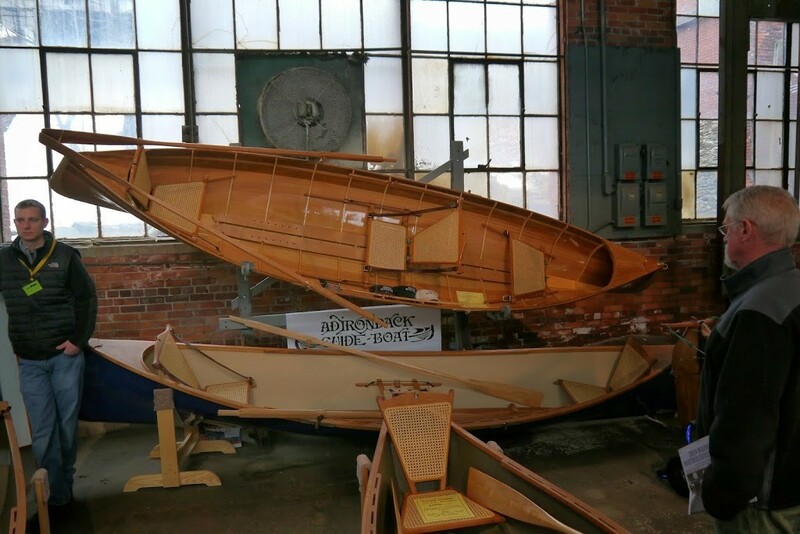 One of my favorites was the model of the 360’ J. P. Morgan Jr. motor yacht that was built in 1930 at the Bath Iron Works. It really is a stunning place to experience, and only 20 minutes from here! It also has a fabulous store with all kinds of books, drawings, artwork, photos, souvenirs, crushed mussel shell coasters, etc. We plan to replace a lot of the more uninteresting wall decorations here over the winter with Maine stuff. We know you will enjoy the changes. 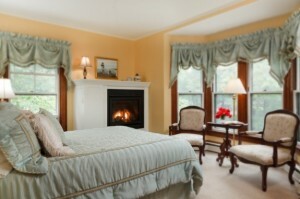 We’re also refurbishing several rooms in the inn this winter (when not skiing or entertaining you). 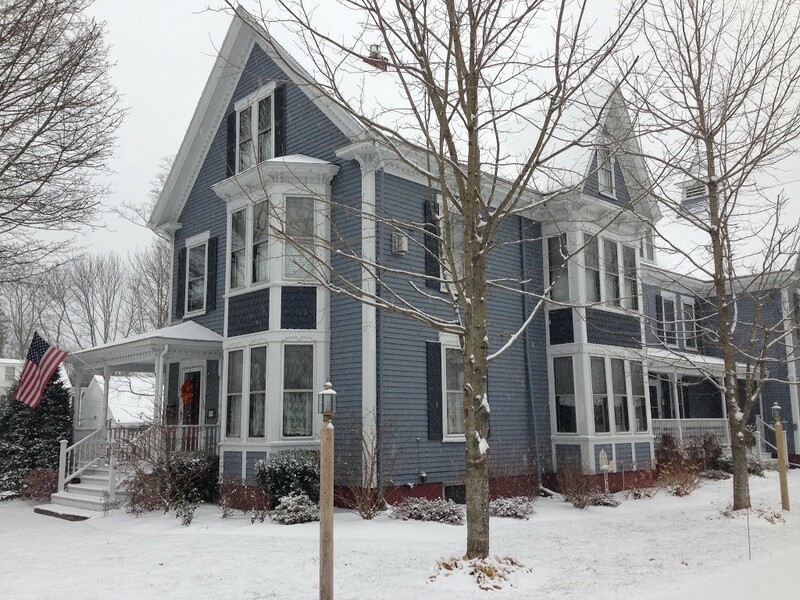 We’re also going to work on the Brewster House Good Times book this winter, so no matter how long you’re here, no matter what the weather is, no matter what you like to do, we’ll have an awesome “on the spot” resource! 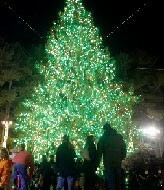 LL Bean is whooping it up big for the Holidays! Since they erected their enormous tree, every ½ hour on weekend evenings, they have an amazing coordinated music/ light show with their block-wide decorations! 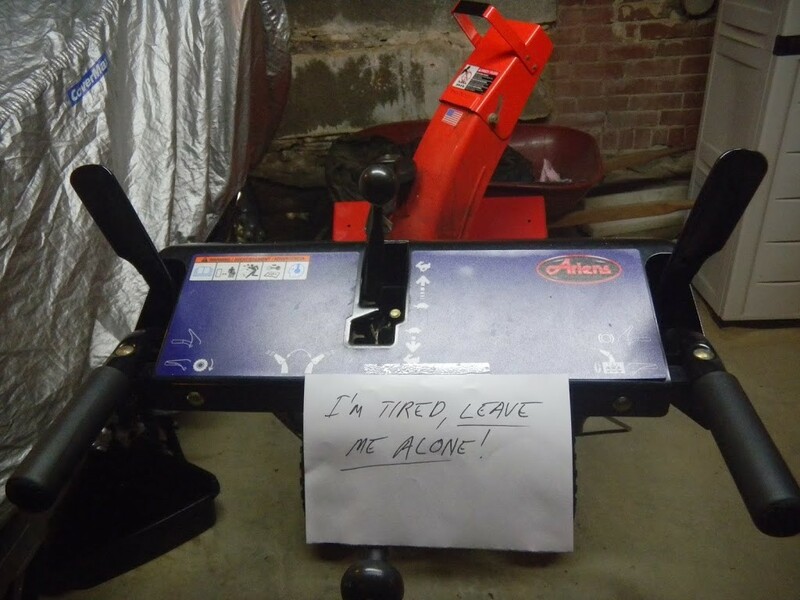 Too bad you didn’t book earlier for Sparkle Weekend! 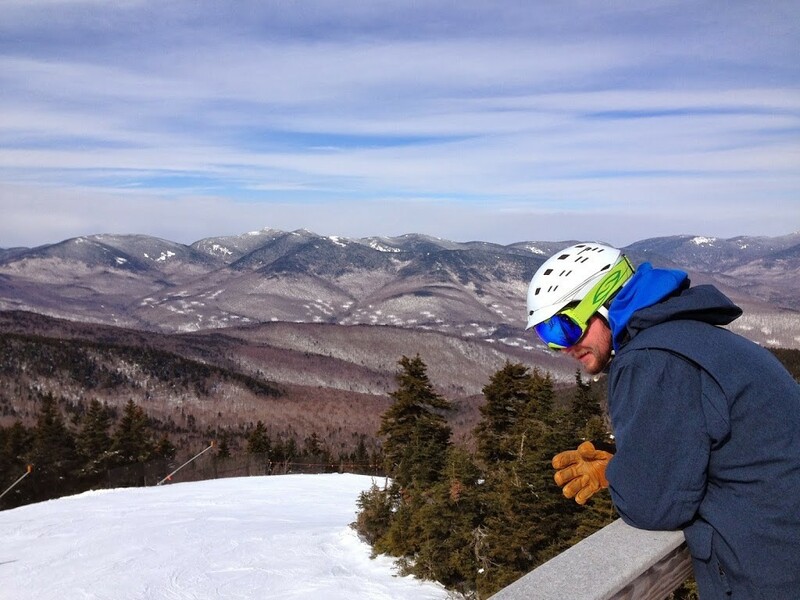 When you’re a downhill skier, one of the great features of being busy all summer and fall is quiet weekdays in the Winter to visit Sunday River (or “The Loaf”), just 65 miles from here. This was taken a few days ago! Ah, we love the corduroy!!!! 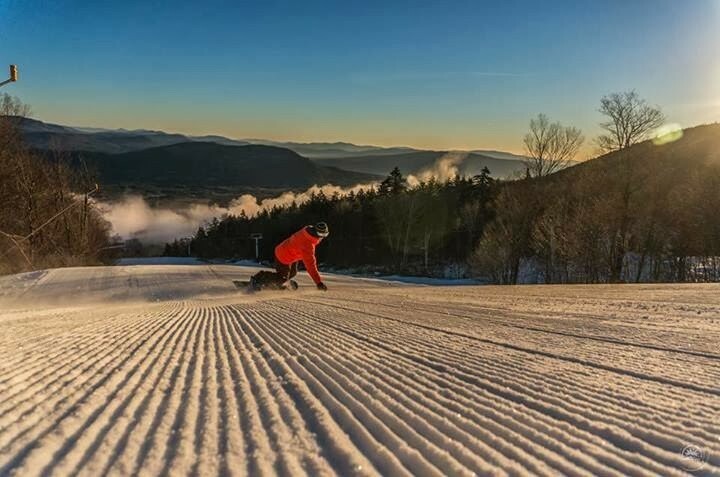 If your skiing ambitions are more the cross-country variety, sledding, dog-sledding, horse drawn sleigh rides or the snow-shoe touring sort, come up for the LL Bean Winter Carnival Weekend January 19th & 20th. Believe it or not, we STILL HAVE ROOMS!! It will take place at the LL Bean Sports Center, near Wolf’s Neck, and advance registration is required, SO PLAN NOW!! Finally, don’t forget Flavors of Freeport! This delicious event includes the Chef Signature Series, and Flavors Ice Bar, a DJ, fire pit and luge to get you slipping and sliding into mid-winter on Friday, Feb. 21st. 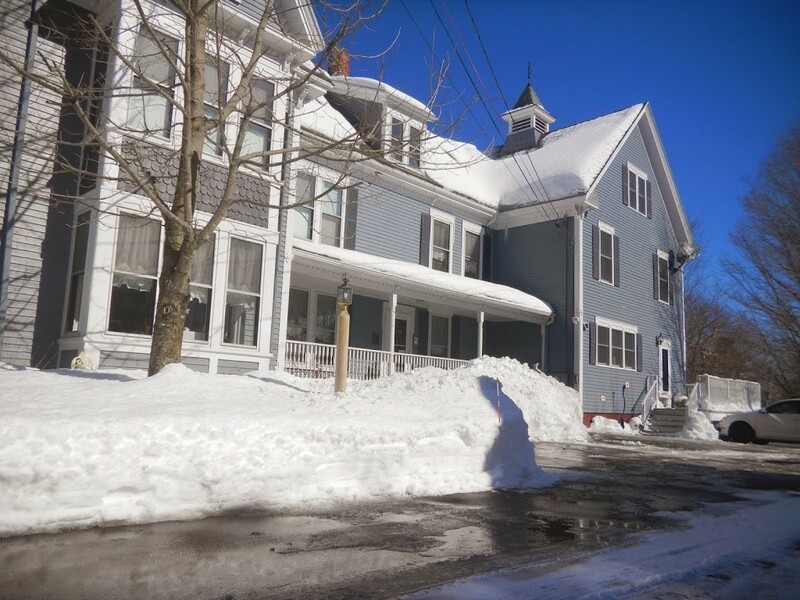 We have shovels full of winter deals available for you! See our website and latest newsletter for a summary and GET UP HEEAH!! Many (possibly most) of our guests want to see the beautiful Maine coast while they’re visiting the area. That seems to be true in almost any season – even in winter! However, some don’t want to drive far to see it, so we have the perfect answer for them! Just a few minutes drive from Brewster House is Wolfe’s Neck Woods State Park, in Freeport. Located down one of the peninsulas that neighbor Freeport’s harbor, the park offers several trails, including the Casco Bay Trail, which runs along the edge of the rocks by the water. At one point, you could practically wade to the nearby islands at low tide – if they weren’t protected. 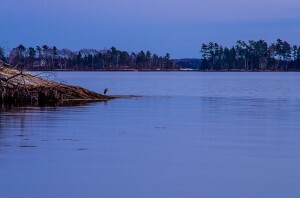 In fact, the closest island, Googins Island, is a protected refuge for Osprey. But the large birds of prey aren’t the only thing you’ll see there, as twilight can bring herons, ducks and other waterfowl out for a bit of evening air.